New Zealand supports stability on the Korean peninsula by contributing four personnel to the United Nations Command Military Armistice Commission (UNCMAC); one Defence Attaché based in Seoul and three officers to monitor compliance of the Armistice Agreement at the Demilitarised Zone (DMZ), a 241km long, 4km wide buffer zone separating the North and South.While the DMZ is mostly calm, it has seen violations, such as weapons discharges and incidents which have sometimes resulted in loss of life. The United Nations Command mandate is to defend the Republic of Korea (ROK) from aggression from North Korea and re-establish international peace and security. The United Nations’ mission in Korea differs from other ‘blue hat’ (UN) missions as it is commanded by the United States, rather than the UN Security Council. The Commander of the UNC Command in Korea reports to the US Government who reports to the Security Council or the UN General Assembly. Navy Reservist Paul Eady recently returned to New Zealand after six months monitoring the military armistice in Korea with UNCMAC. As a Regular Force marine engineer Lieutenant Eady hadn’t posted overseas, so was delighted when he was asked to deploy to the Korean Peninsula while a Reservist. After two weeks pre-deployment training, which included land mine awareness; chemical, biological and radiological nuclear training, and language lessons, Paul arrived in Panmunjom. 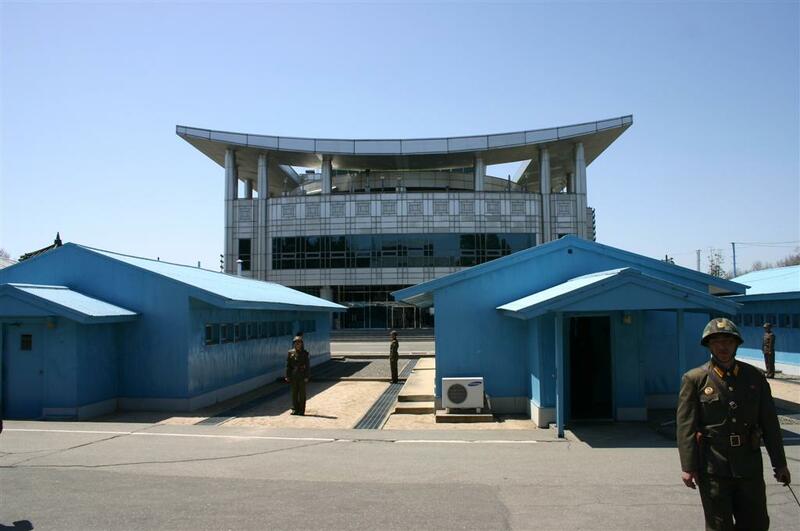 Panmunjom straddles North and South Korea and is known as the “truce village” as it is near the site of the signing of the1953 Armistice. One thing that soon struck LT Eady about the DMZ was the sense of general disquiet. As UNCMAC’s ‘eyes and ears’ on the ground, LT Eady had to be familiar with the Armistice Agreement, the subsequent agreements, and be able to interpret rules and regulations. “Precedents have been set but Kiwis and others add value by bringing fresh perspectives. I also observed, monitored, and reported on the DMZ. Now I think of it, I was a bit like a School Prefect!” he says. LT Eady stresses that UNCMAC personnel are monitoring compliance to a ceasefire, not a peace agreement. “We don’t observe the border, we monitor compliance to the Armistice Agreement. Observing the Military Demarcation Line, and watching for people crossing that line, is done by the Korean soldiers on both sides,” he notes. One Force, Issue 5, October 2010, New Zealand Defence Force (NZDF).